A sleek master bath with little luxuries topped the clients’ wish list. 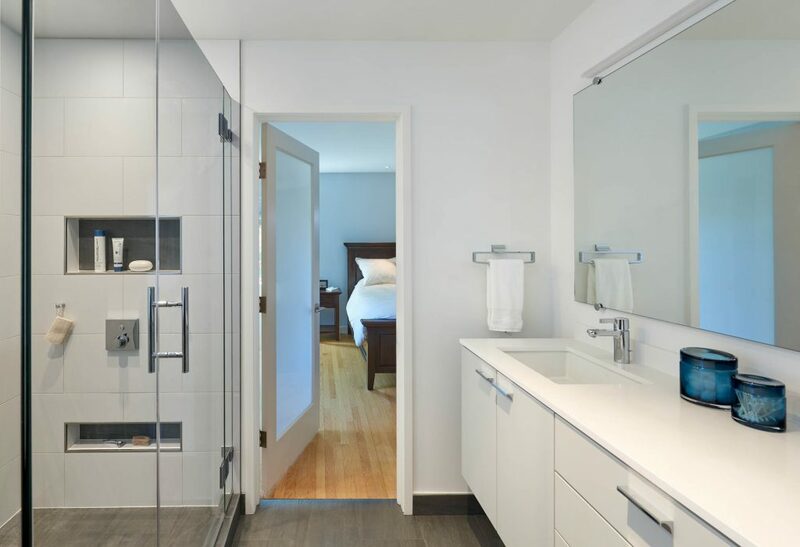 The roomy walk-in glass shower and oversized white wall tiles create consistency and make the space feel larger. 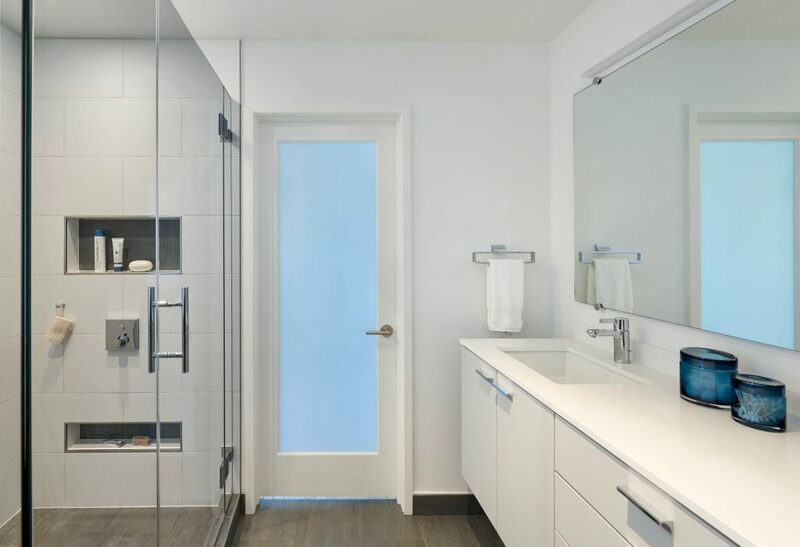 Custom shower niches, a ceiling-mount rain shower head, and bidet-combo toilet add gratifying indulgences for daily enjoyment. Large-format ceramic floor tiles are heated from beneath, adding warmth to the small space on chilly mornings. 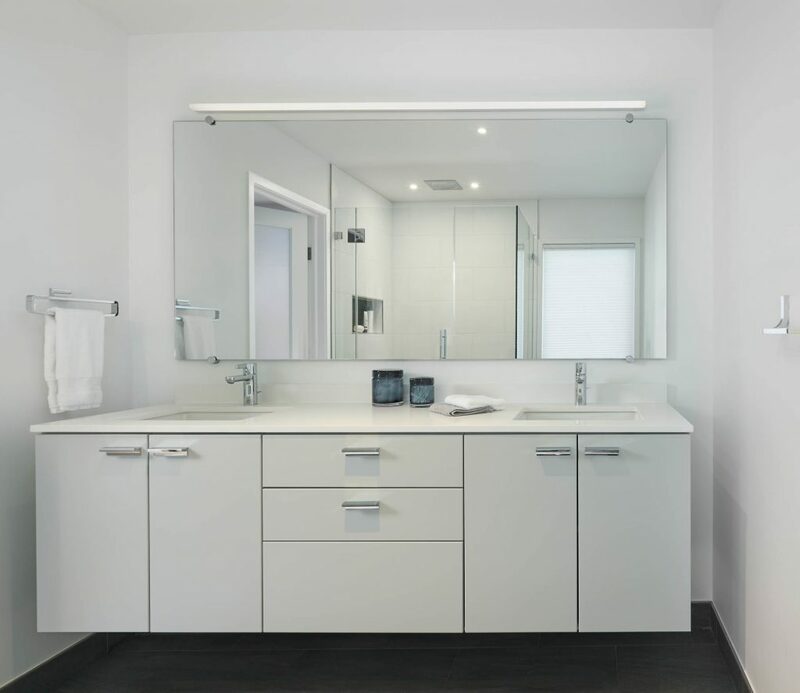 A white quartz counter—with his and hers sinks—pairs seamlessly with clean, white cabinetry and chrome fixtures for a modern, monochromatic look. 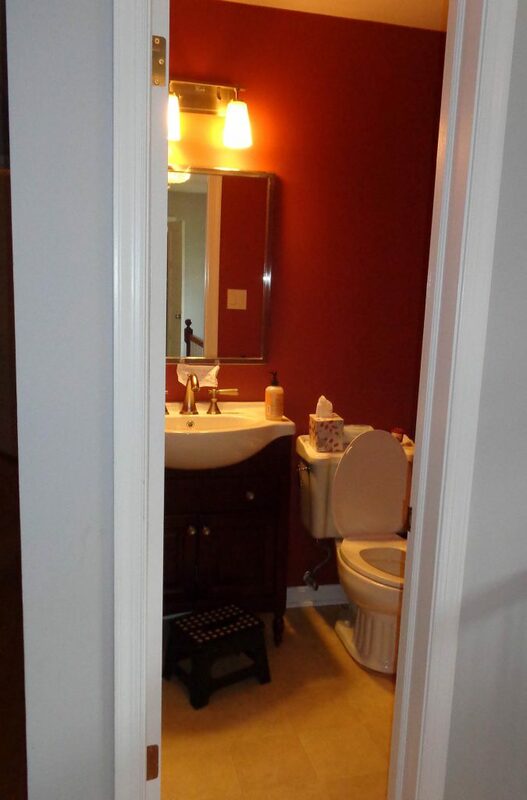 Also on the wish list were budget-friendly bathrooms for each of their sons to grow into, bathrooms that would complement the rest of the home and increase its resale value. 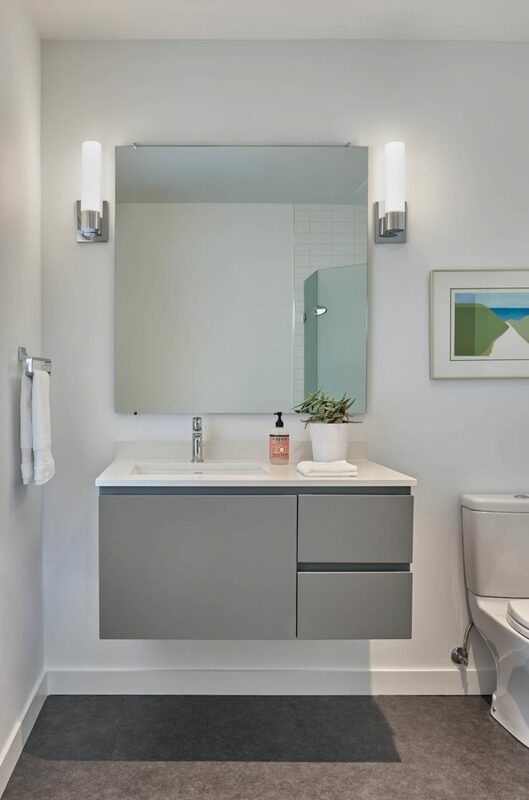 A modern floating gray vanity with white quartz counter and frameless mirror is the perfect low-maintenance solution for their sons in youth—and as future teenagers. 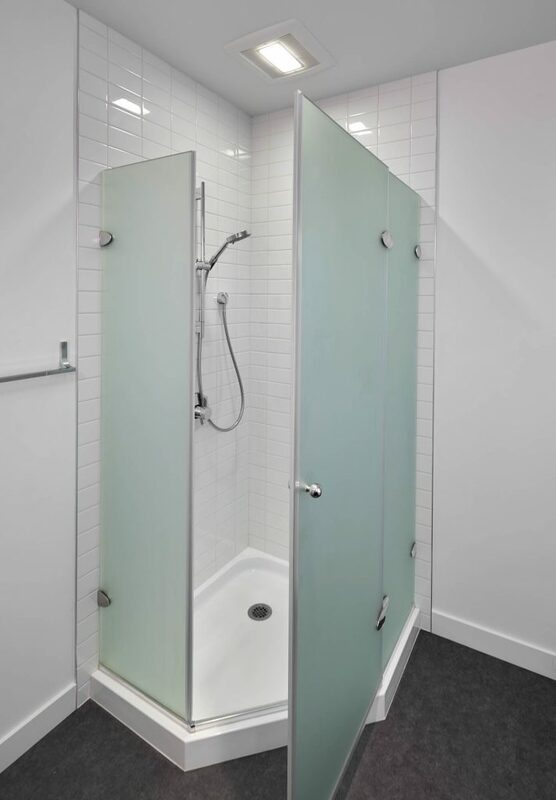 A frosted-glass corner shower stall saves space in this small bathroom and is easy to clean and maintain. 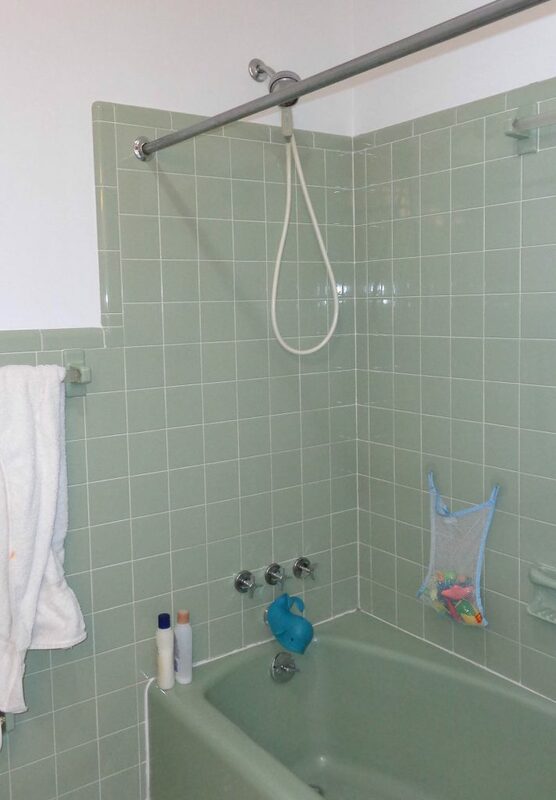 Shiny chrome towel bars, hooks, and hand shower lend this bath a polished look. 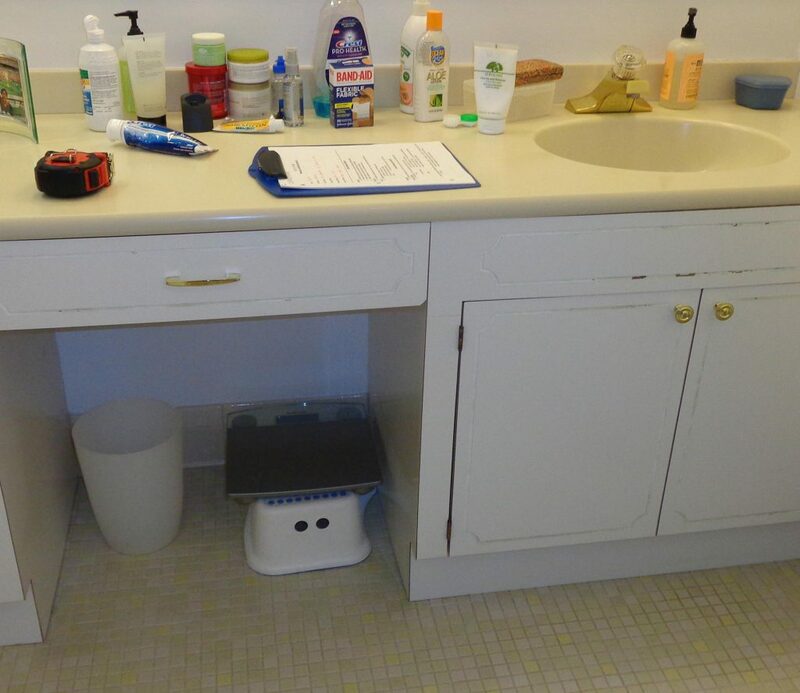 The entry powder room was transformed with all new modern fixtures and a fresh coat of cool gray paint to contrast the whites of the adjacent foyer. 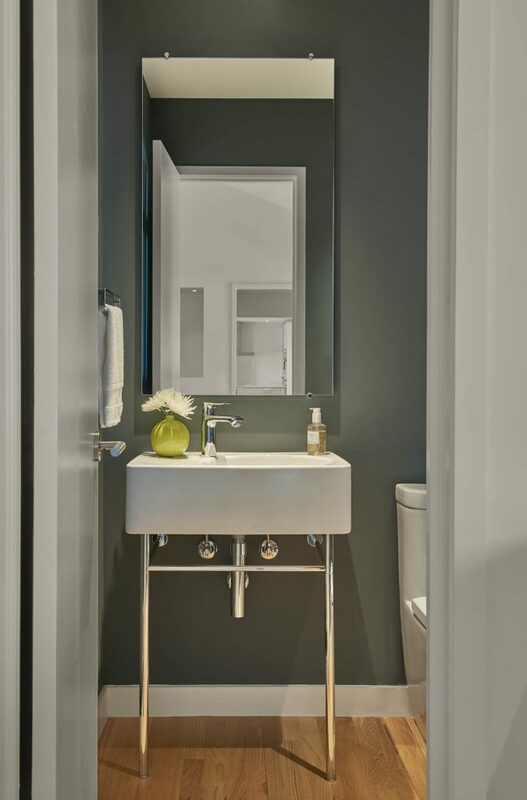 A simple pedestal sink with chrome details and a sleek vertical mirror stretches tall, giving the room a larger feel.